Jack’s Auto Service services and repairs both domestic and foreign vehicles. We strive to be the leading auto repair facility in Grand Rapids. We provide scheduled maintenance, including an oil change and lube, to a lot of car-owners in our neighborhood. Why? We try our best to go the extra mile for all our clients. One of our goals is to have each customer leave happy and satisfied with the service they have received. We try our best to do whatever it takes to make the problem go away. If you are unsure about the last time your car received scheduled maintenance, including an oil change and lube, we recommend having a technician take a look at your vehicle. Our team would be happy to inspect your vehicle and develop a maintenance schedule, specific to the make and model of your vehicle. You can think of oil as a preventative medicine for your car. It keeps everything in your engine running smoothly. Without it, pieces of machinery could rub together and cause severe damage to your car. 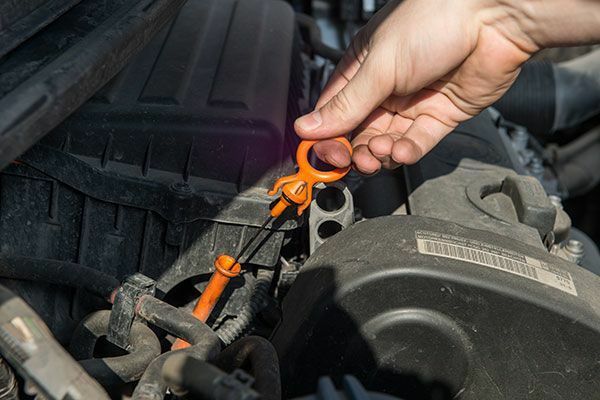 Oil change and lube, along with other preventive maintenance services, is an excellent way to preserve the safety and longevity of your vehicle. If your personal automobile or fleet is in need of oil change, lube, preventive maintenance or repair, we invite you to Jack’s Auto Service. We are conveniently located in Grand Rapids. You can trust our friendly and experienced staff to get your car, truck, minivan or SUV driving its best!